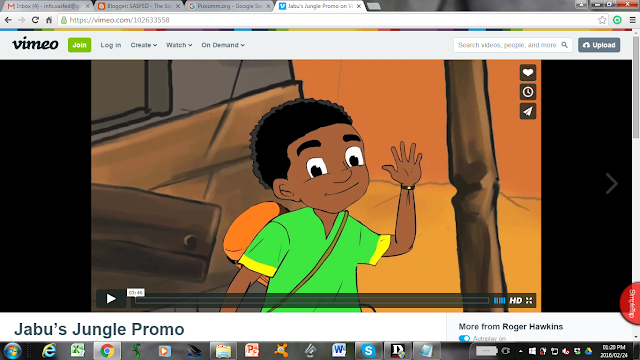 South African Animation company, Pixcomm, has pioneered a unique production approach with their animated series Jabu’s Jungle. Produced in Cape Town’s Masiphumelele Township, Jabu’s Jungle has now been sold to 22 countries in Africa and production for Series 2 is underway. Being based in a community of over 60 000 people with a 40% unemployment rate, Pixcomm realized that job creation and training were vital and should go hand in hand. They brought in professional animators to work alongside talented young artists giving them a hands-on, apprentice style training. By being able to earn money as they trained, the township residents were able to contribute to the series and brought a raw and passionate energy to the production. The series was able to create 12 new jobs in 2015 and the rate at which artists learned was impressive. Pixcomm identified talented artists in the community and put them alongside industry professionals where they received on-the-job training in illustration, colouring, design, sound recording and animation. “We don’t really give them a formal training, its more like being thrown in the deep end and it’s sink or swim,” says producer Nic Buchanan. “Fortunately most of the guys have proved to be very good swimmers indeed!” Jabu’s Jungle has benefited from this bold approach and retains a fresh African feel in its visual approach and narrative style. It’s refreshing and non derivative, a genuine African series that is starting to attract attention in the international market. A deal with SABC is being negotiated and viewers should be seeing Jabu and friends on TV soon. Production of Series 2 will create 15 jobs and will be completed in time for the international distributor, Monster Entertainment, to launch it at MIPJunior later this year.